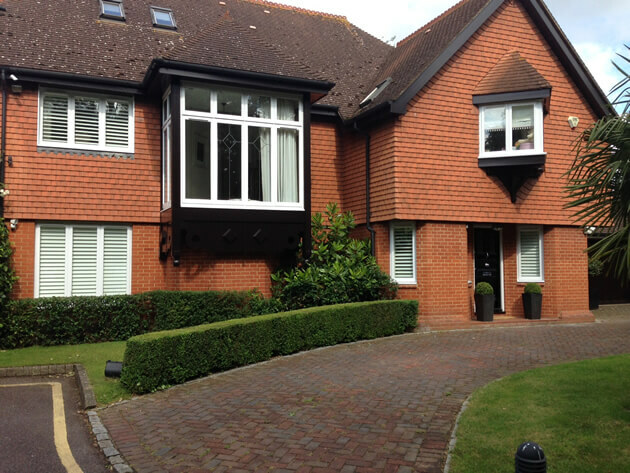 We were recently asked to design and install some bespoke window shutters to a property based in Esher, Surrey. The client required shutters for the front and back bedroom, two hallway windows and a home office. She was looking for the shutters to not only be highly practical, but create a more modern and contemporary look to the home. With input from the home owner we decided upon using our Cuba Range of Shutters which are rigid, yet light weight and suit most windows and openings. 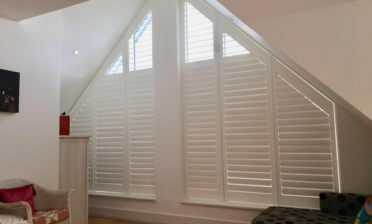 They are also one of our most environmentally friendly and cost effective shutters in the range. 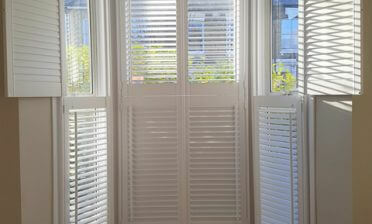 All the shutters fitted are full height with a mid-rail for great light and privacy adjustment. 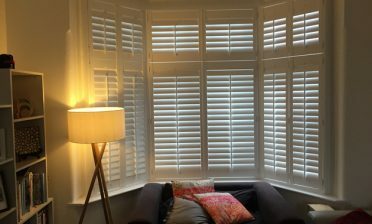 The shutters were created using 89mm louvres and a hidden tilt rod system to really help achieve the contemporary look that the client was looking to achieve. We finished the shutters in pure white which as you can see looks fantastic from the outside of the home, as well as from the inside. These were then installed using matching white hinges.